"November comes and November goes with the last red berries and the first white snows." "November comes and November goes with the last red berries and the first white snows." 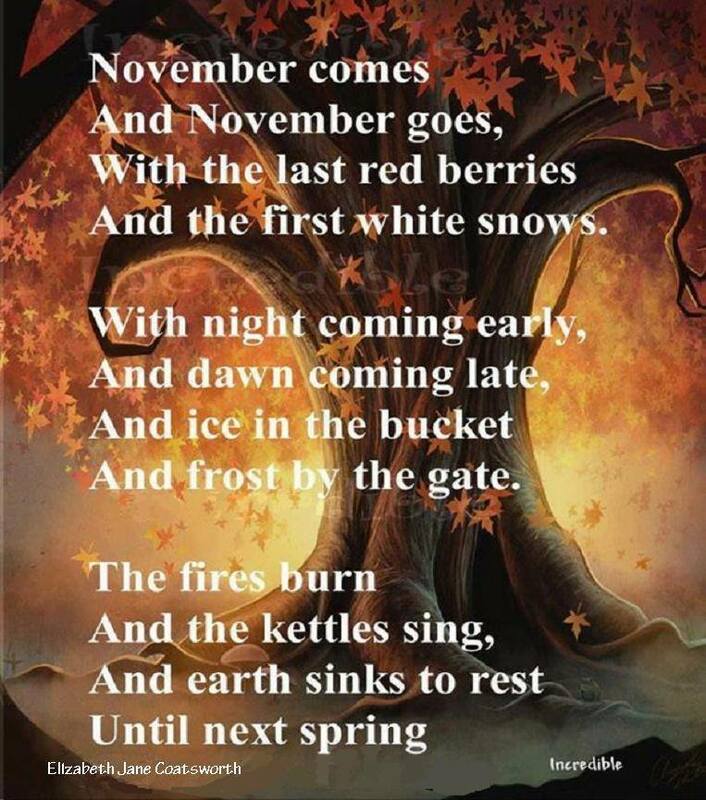 ---I love this poem..November is such a transitional month. I found this photo at the Facebook page "If the World Had a Front Porch" a couple of years ago and saved it. But the original photo accredited this poem about November to a woman named Clyde Watson... It seems the real author was poet Elizabeth Coatsworth, born in 1893, who lived most of her life in New England and died in 1986. And please visit "If the World Had a Front Porch"! A beautiful collection of photos!